Hi Matt, thanks for commenting. I'd say just the opposite: he paved a similar path to most (working in the office, fielding calls as I did at the Hartford Courant, and going through the more mundane stuff before making it big). 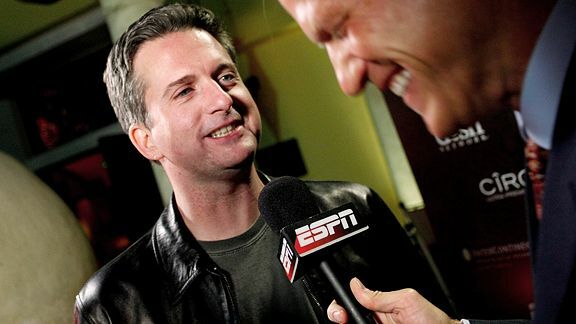 Check out his wiki page http://en.wikipedia.org/wiki/Bill_Simmons#Early_career to see where his career has taken him. His tone and the fact that he embraced new media/blogging elevated him in a unique way, but I think had he taken a traditional journalist's style.